Kansas City’s leading trash dumpster provider! 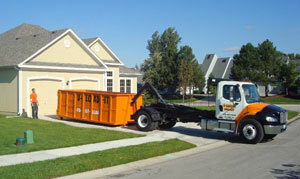 U-LOAD-IT is your local dumpster rental solution. 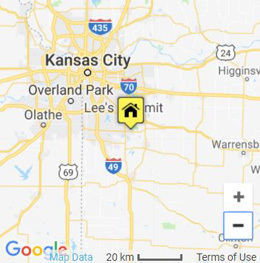 We’re a family owned and operated roll-off container rental company stocked with one of the largest inventories of roll-offs in the Kansas City area. Our reach includes Greenwood, Blue Springs, Lee’s Summit, Independence and surrounding areas. We offer three convenient debris box sizes to accommodate projects big and small. Who rents temporary trash dumpsters from U-LOAD-IT? From basement or garage clean-outs, to large demolition cleanups, U-LOAD-IT has got you covered. Ideal for: Basement or garage clean-outs, roofing shingles, household junk, home remodeling project. Ideal for: Roofing shingles (multiple layers), house clean-out, moving, C&D debris, spring cleaning. Ideal for: Construction or demolition jobs, foreclosure/eviction clean-out, re-roofing project, large deck removal. Ideal for: large demolition projects, whole house remodels, new home construction, land clearing and large cleanups. We offer low rates on all of our rentals, and discounted contractor pricing is available for frequent renters. Our rates are all-inclusive, meaning there are no hidden fees, drop off charges, or pick-up fees. You’ll pay just one flat-rate fee which covers the rental period, included weight allowance, disposal and transport. Give us a call for a free quote, or request a free price quote online. 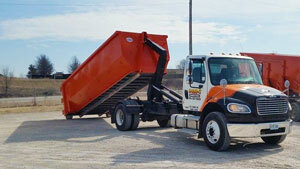 Call U-LOAD-IT at (816) 537-5623 to book your dumpster rental in Greenwood MO today! Hours: Thurs. & Fri. 9 a.m – 6 p.m.; Sat. 9 a.m. – 4 p.m.
***Hours of operation subject to change. Call for latest information.